EMICERT, the ISO 14065:2013 Accredited Verification Body, certified (Cert. No: 170301) that the organization «AGRICULTURAL COOPERATIVES UNION AEGHION SA» has measured Greenhouse Gas (GHG) emissions for the olive fruits production period of 2016 – 2017 of “ELIKI” virgin olive oil, from a group of producers of olive fruits, in accordance with the principles of ISO 14064-1:2006. 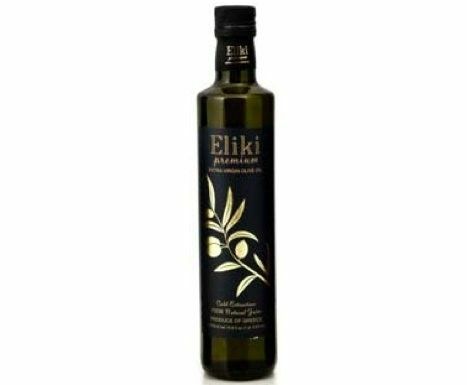 The production of “ELIKI” virgin olive oil, includes processes and services regarding olive groves, production for olive fruit, extraction of olive oil, packing and storage of olive oil and transportation and delivery at the final destination. The production derives from a group of 100 producers of olive oil, with a land use of 229,67 ha, 34.827 number of trees and final production of 82,13 tons of olive fruits and 18.374 lt of olive oil. The final product is packed in 36.748, 500ml bottles. Half of this production is delivered to Germany and the other half in Greece. Criteria against which the verification assessment is undertaken are the principles of ISO 14064. Among these criteria, the principles and requirements of the methodology of Environmental Product Declaration (EPD) Product Group: UN CPC 21537 Virgin Olive Oil and its Fractions according to “Product category rules” - ISO 14025:2006, Specification for the assessment of the Life Cycle Greenhouse Gas Emissions of goods and services according to PAS 2050:2011 and Greenhouse Gas (GHG) Protocol are being considered. The GHG information for the period of olive fruits production 2016 - 2017 disclosing emission of 49.038 kg of CO2 equivalent are verified by EMICERT to a reasonable level of assurance, consistent with the agreed verification scope, objectives and criteria. The organization has reduced GHG emissions to net zero externally, through carbon offsetting of 49.038 kg CO2, with ERU Carbon Credits generated by the Project «Implementation of Measures on Reduction of Energy Consumption and Greenhouse Gas Emissions at “ICE” Tekhnogaz” LLC”, Host Party: Ukraine / Other Party: Switzerland, with Project No:UA1000517. The Offset Transaction ID in Union Registry and Administrator Registry of Greece is Transaction ID: EU157925.